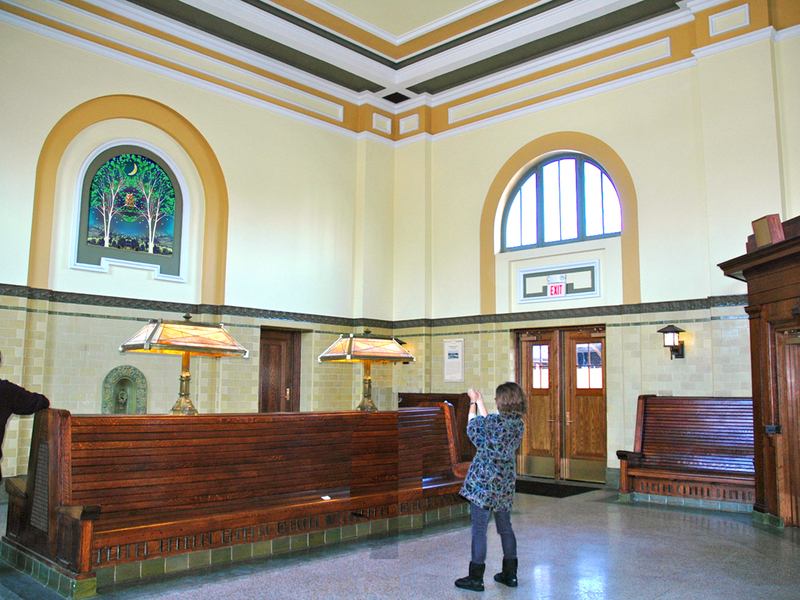 The Morristown Train Station is on the Morristown Rail Line, which serves passengers commuting to Hoboken/New York City from points west of the Hoboken Terminal. Built in 1914, the design of the station is reminiscent of an Italian villa and the land surrounding the station was landscaped in the style of an Italian ornamental garden. In the main waiting room there are ceramic details including floral tiles and a fountain. Two arches on opposing walls in the waiting room have been identified as sites for new artwork. I propose to create two mosaics that would be visually and thematically aligned with the historic architectural motifs of the waiting room. 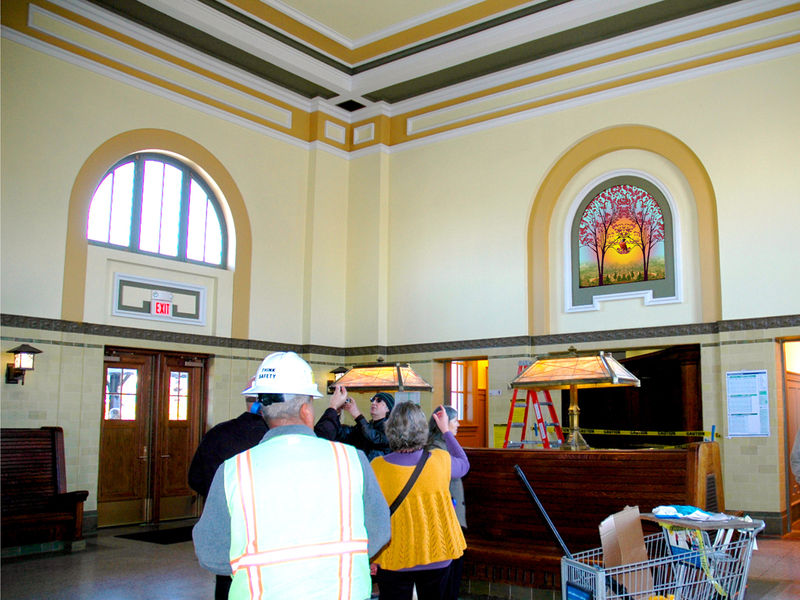 These mosaics would provide a lively diversion for people waiting in and passing through the station while enhancing the symmetrical design and Renaissance revival style of the waiting room. The design for each mosaic depicts two mirroring trees with a bird resting in the branches. Together they represent a series of opposites—Day and Night, East and West, Fall and Spring. Because commuters generally travel east toward NYC in the morning, the artwork for the southeast wall represents Day. 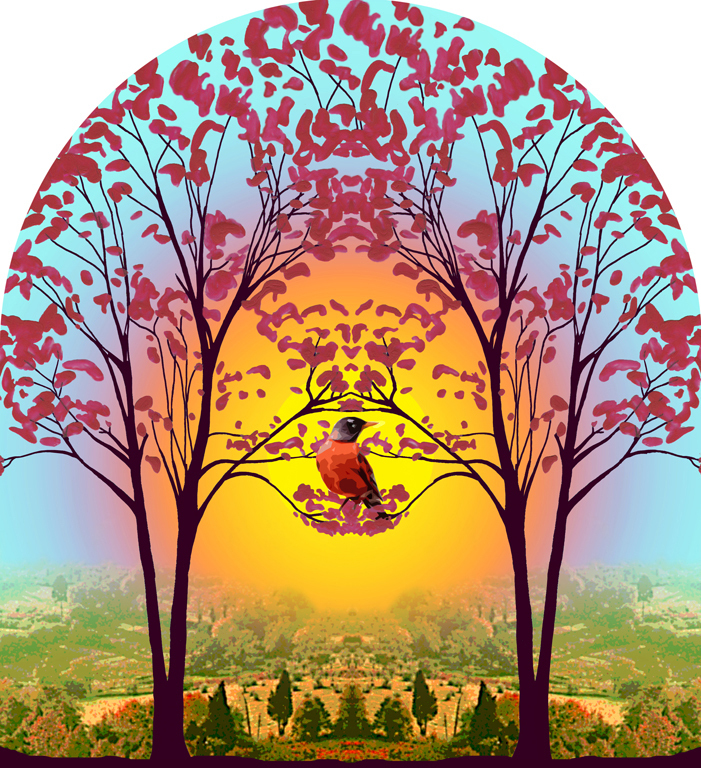 In this mosaic the sun is rising, a robin sits on a branch looking to the distance and the trees are ablaze in autumn reds. At the end of the day commuters travel west to return to Morristown, so the artwork for the northwest wall represents Night. 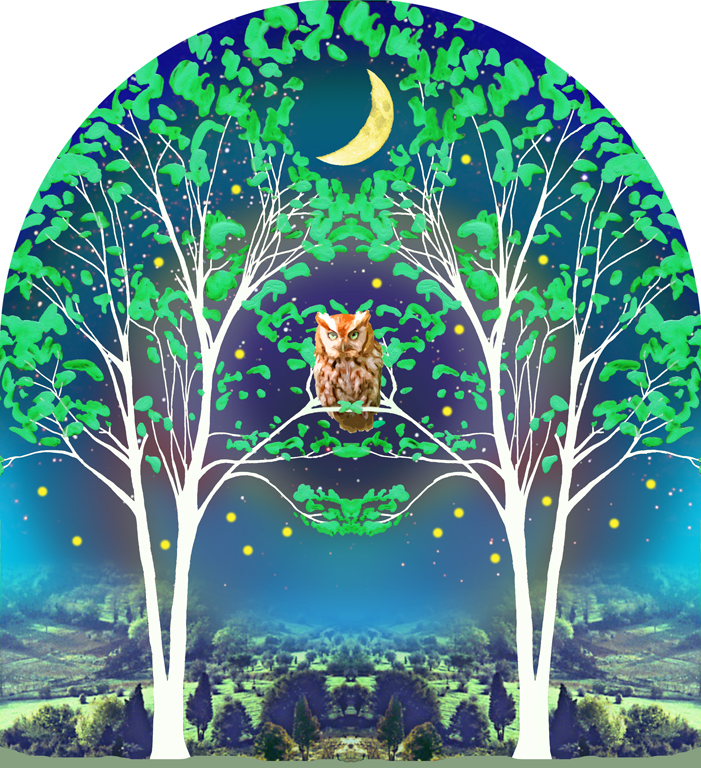 In this mosaic the moon has risen in the night sky, the robin has been replaced by a watchful owl and the trees are spring green. The mirroring landscapes in each mosaic are of the Tuscan countryside and create shapes and patterns reminiscent of an ornamental garden. These distant vistas seem fantastical and give a sense of the far away to the travelers passing through the station.